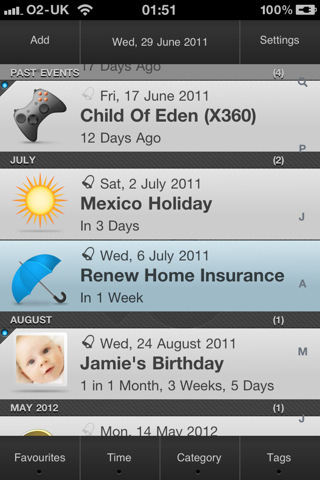 Many iPhone apps are useful and they solve the common problems that need to be addressed. Out of so many useful apps here is the list of five iPhone countdown and reminder apps which keeps track of time related events and activities. Each of these countdown and reminder apps are useful by helping you free your mind, from thinking about any upcoming dates. 1. Countdown Calendar – It’s a user friendly and simple app in which you add a date and title for the reminder, and Countdown will calculate the days, months and years since or until the date you assigned. You can save your reminders in any of two folders– Important and Fun. The repository includes reminders for US Holidays, movie release dates like Star Trek XII, and sports events dates like the 2012 London Summer Olympics. 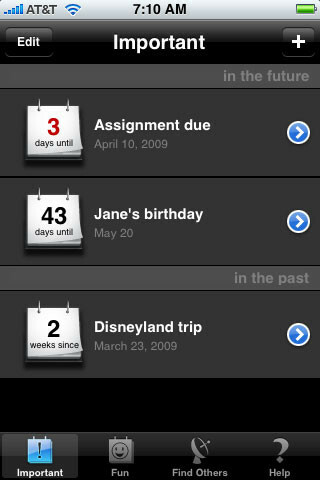 You can even add hyperlinks and notes to reminders, as well as mail countdowns to other Countdown Calendar users. 2. School Countdown – This is a useful and simple app that gives you a countdown for the school year, the number of classes in the semester/term left for each course taken, and the number of days until school starts back up. 3. Big Date Lite – A $0.99 costs app that allows you to have more visual appeal by adding background photo to your events. This version, however, allows for only one event, and the paid version enables multiple events. The drawback of this app is that it doesn’t include the months or weeks countdown, only days countdown. 4. 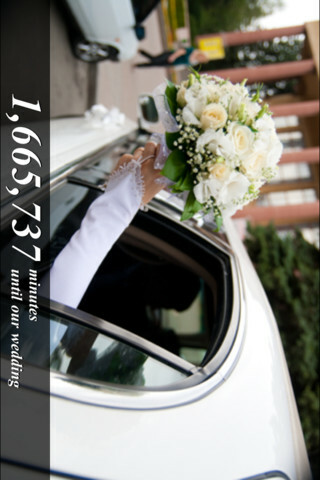 Wedding Countdown – This will calculate the year, months, days, hours, minutes and seconds before you tie the knot. You have to set your wedding date to use this app. 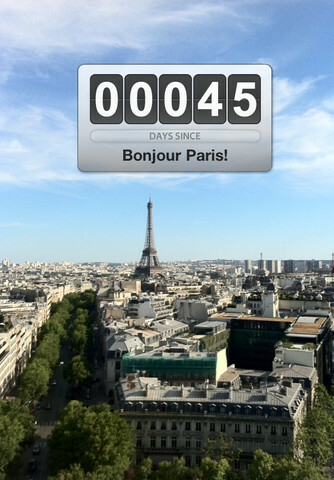 This app also includes a feature for automatically switching to anniversary countdowns after you’re married. You can add custom images and background music. 5. 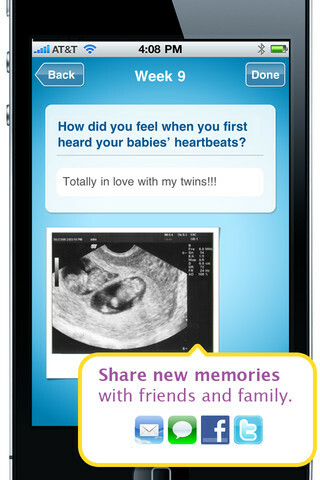 Expecting Baby – This app lets you track and share your amazing journey through all three stages of pregnancy—planning, delivery and announcing baby’s arrival. Bonus 6th App: Countdown+ – This is a $1.99 costs app allows you to categorize and tag reminders and countdowns, customize icons and backgrounds, or choose from over 40 preset icons; set alert notifications, create custom calendar rules, and much more. You can also import scheduled dates which are there on your iPhone’s iCal calendar. Some of these apps are free while others cost some few dollars. However, there are dozen of other similar iPhone time tracking app like those listed above. Let us know what you think of these apps.